Classes have been cancelled for the past couple days thanks to a winter storm that left campus covered in ice and snow. Most of MTSU has been shut down, leaving the people in dorms and apartments across campus with a lot of free time and nowhere to go. Take Lyon Hall, for instance. The sidewalks around the Honors dorm were covered in half an inch of snow, with only the desperate or hungry bothering to go outside in the weather. 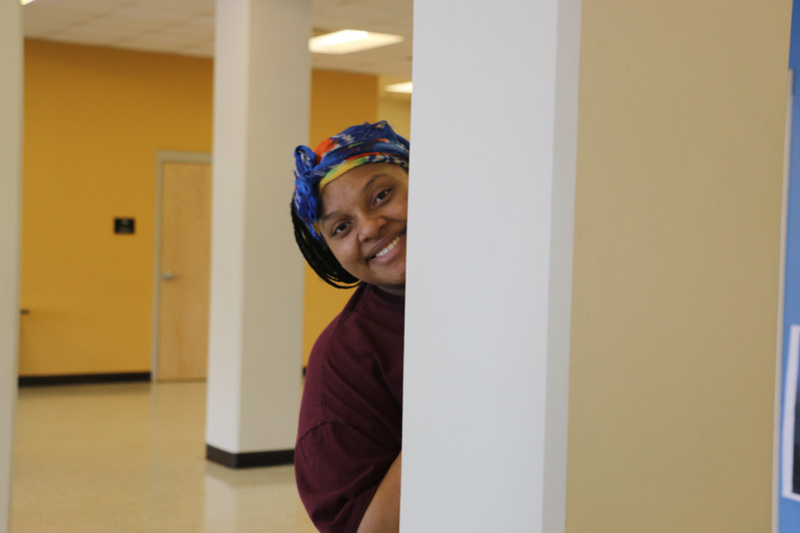 Because the students are staying indoors, the resident assistants have had a much easier time keeping track of what everybody else is doing. 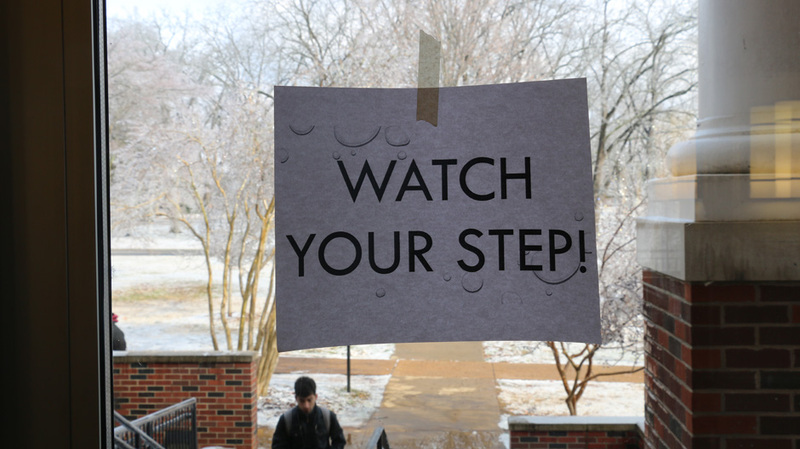 One RA put up a sign saying ‘Watch your step’ for those who chose to brave the cold weather. 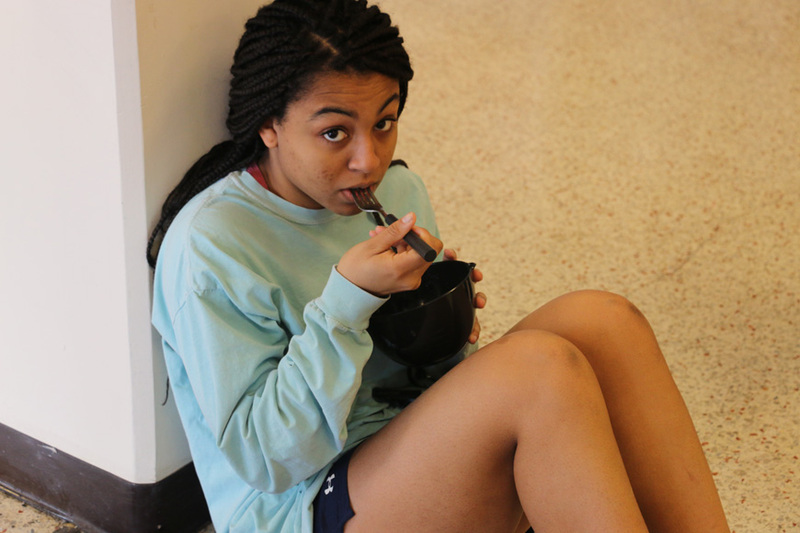 In the basement of Lyon Hall, Maia Council and her friends enjoyed their break from classes. Many more people could be seen hanging out Monday evening, but by Tuesday afternoon the basement was empty save Maia and a handful of friends. 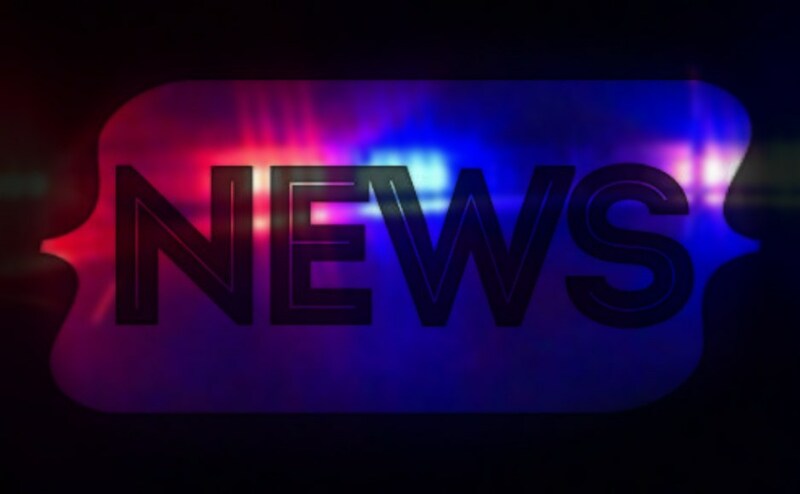 “Most of the students are just studying and watching Netflix in their rooms,” Council said, explaining the sparse number of people. 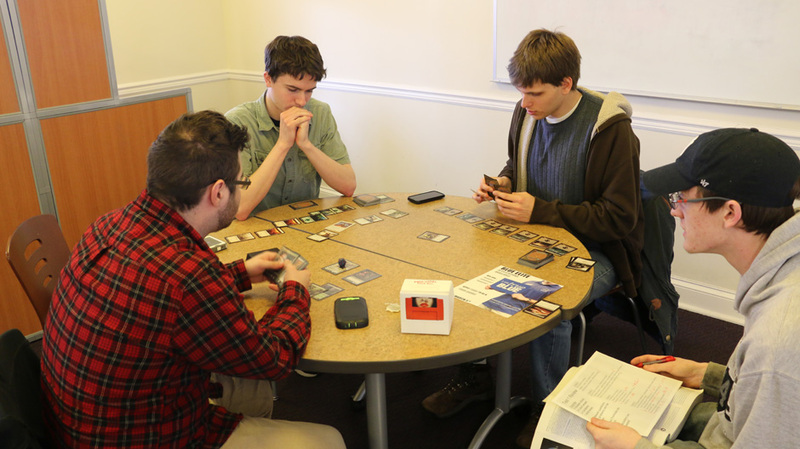 Others had a different idea for how to spend their snow day. 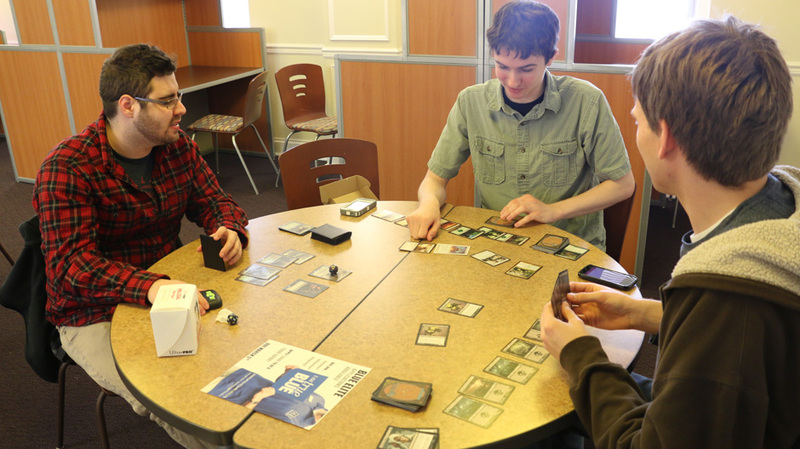 In one of Lyon’s study areas on the third floor, a group of friends were playing games like “Magic: the Gathering” and “Dungeons and Dragons” to pass the time. 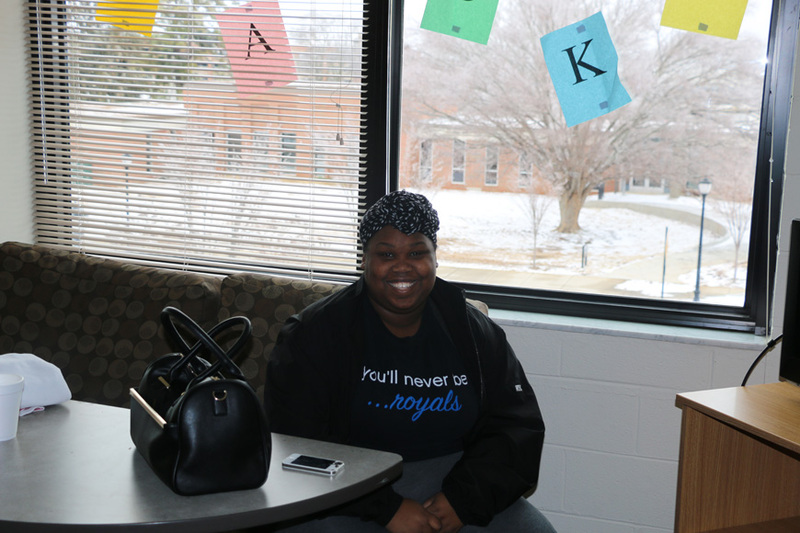 These study areas are accessible to students from every floor, making for a great place to hang out and wait out the cold weather. Talisha Buford said she and her friends like to bond by doing each others’ nails and watching music videos. 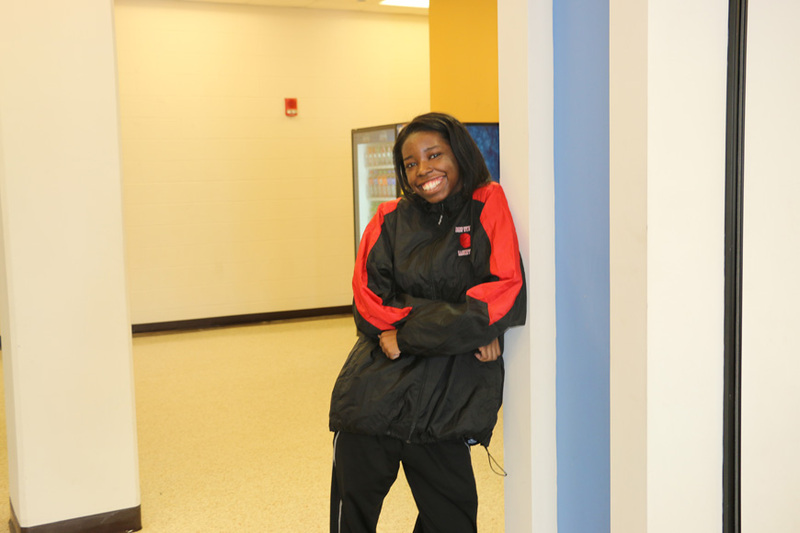 Kristin Adams, Zaria Walker and Destini Brown-Gordon said they like to have fun by playing hide-and-go-seek with friends. 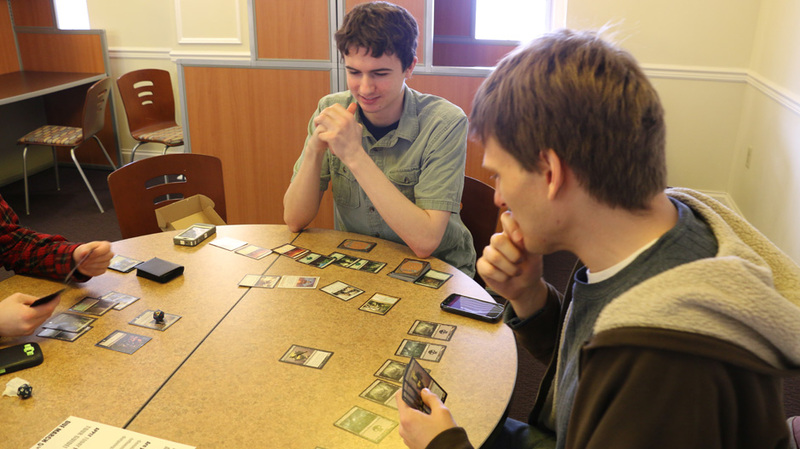 Francesco Bailey said he played UNO with other residents while his friend Ayub Safi spent time writing assigned papers in advance. Dwight Harris said he used the break to focus on his creativity through songwriting and photography. 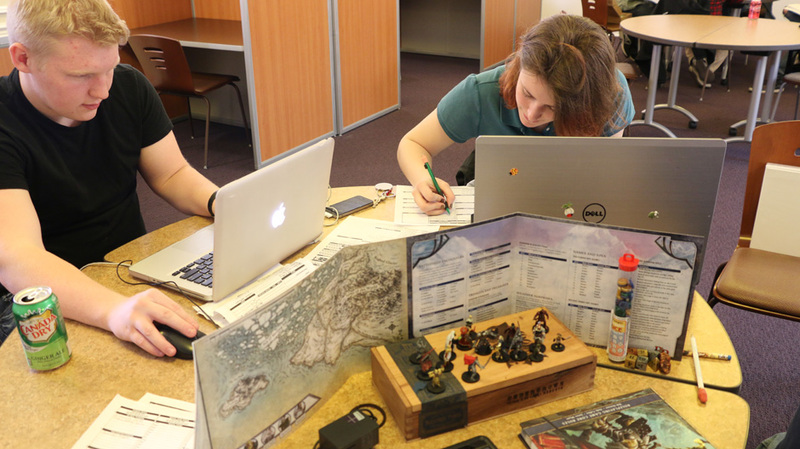 Whether they’re playing with friends or studying by themselves, students across campus seem to be making the most of this winter weather. 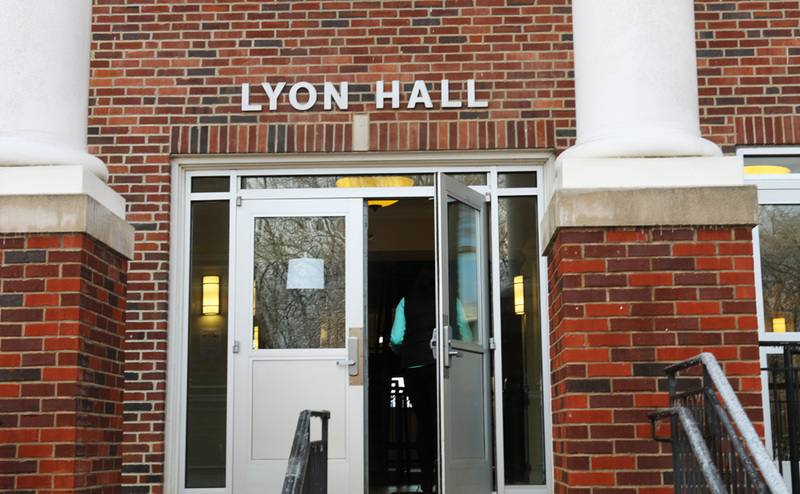 A sign was posted on the front doors of Lyon Hall, a resident hall on campus that houses students in the University Honors College. 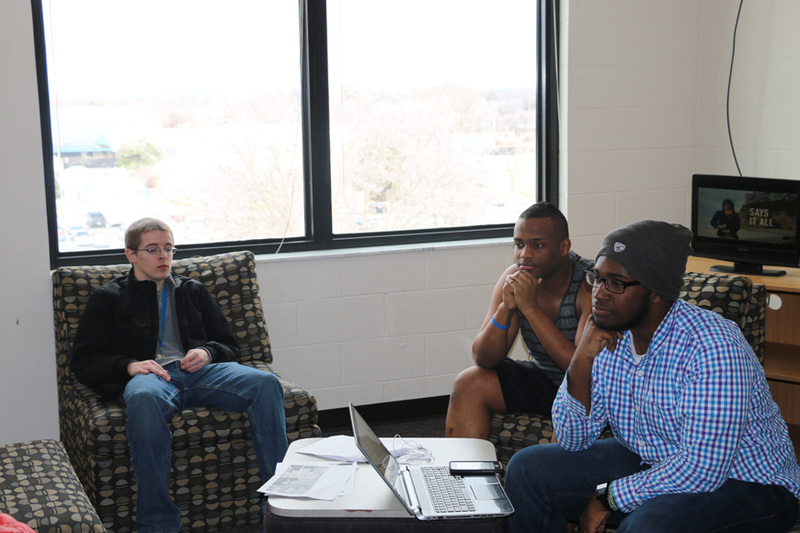 MTSU was closed Feb. 16-18 due to inclement weather (MTSU Sidelines/Ethan Clark). 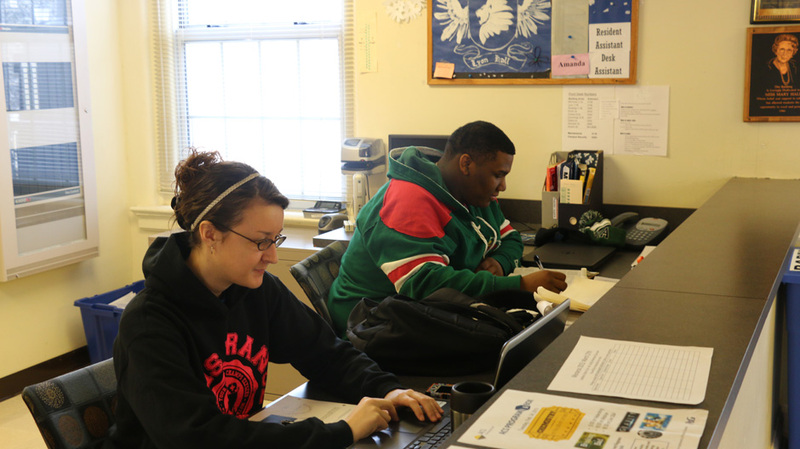 Brooke Morgan and Denarius Stinson work on computers provided to residents in Lyon Hall. MTSU was closed Feb. 16-18 due to inclement weather (MTSU Sidelines/Ethan Clark). 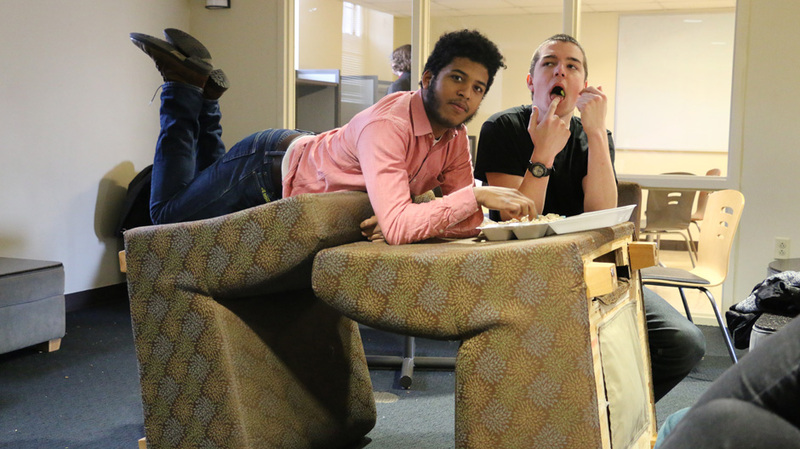 MTSU campus resident Jason Mendez and his friend, John Hitler, rearrange the furniture in one of the floor lobbies. MTSU and its offices were closed Feb. 16-18 due to inclement weather (MTSU Sidelines/Ethan Clark). 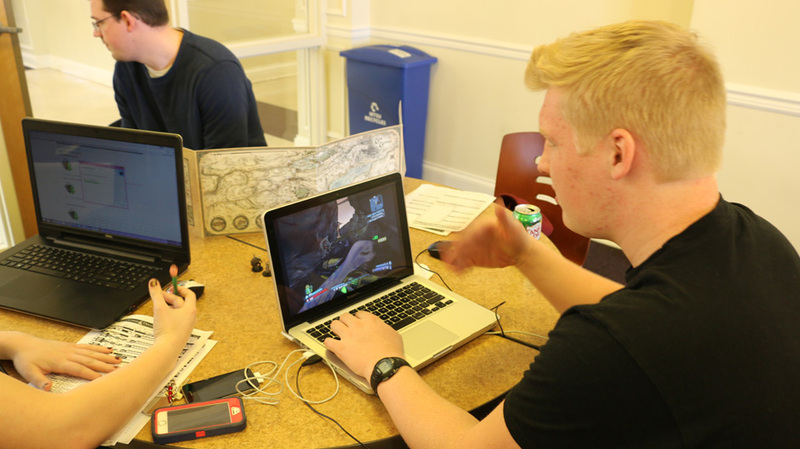 (Clockwise starting at the far left) Jeffrey Hall, Sean Pulley, Jeremy Steffens and Joshua Vaughn play games to pass the time in Lyon Hall. MTSU was closed Feb. 16-18 due to inclement weather (MTSU Sidelines/Ethan Clark). 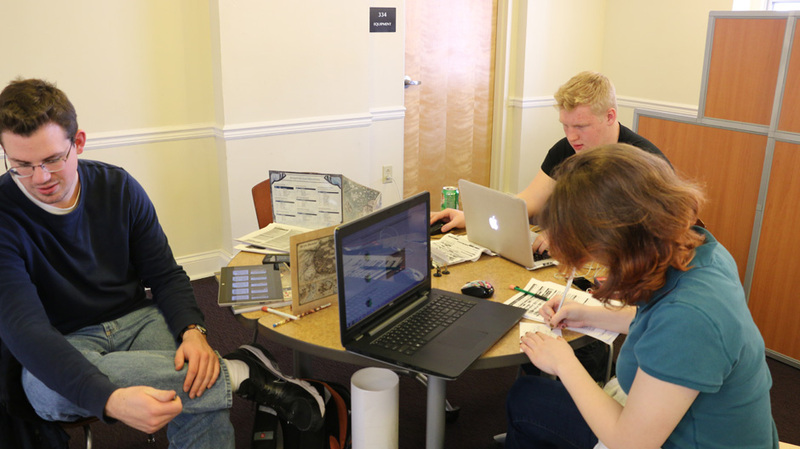 Josh Tilton, Wick Watts and Jenny Parrish play Magic and Dungeons and Dragons in Lyon Hall to pass the time. MTSU was closed Feb. 16-18 due to inclement weather (MTSU Sidelines/Ethan Clark). For more campus updates, follow us at www.mtsusidelines.com, on Facebook at MTSU Sidelines and on Twitter at @MTSUSidelines.